hope hernandez isnt out for too long. Silenced his critics IMO. Knew he would come good. Don't think there were any mistakes he made, looked very solid. Looking back at the 1st pages of the United vs Chelsea thread it's interesting too see what people thought. im noting this down by the way. dont think i will forget. Why is narturo so gassed? We're gonna be left weak in defense for the next few upcoming games. Smalling and Jone were injured today....not sure how serious though. Vidic, Rio, Rafael all injured. Last edited by Big 45; 18th September '11 at 11:19 PM. Jones was injured? Smalling as well? Smalling got injured and had to be subsituted for Valencia and Jones was limping around the pitch. Hopefully they were just minor knocks. ^ Ferdinand is back, I think. Alright not too bad then if either smalling/jones is not fit for the next game. You man hear/see the rumours about the qatari royal family wanting to buy united for 1.6billion?? Supposedly they're flying out to Manchester this week to do a deal. The same company that bought PSG are being rumoured to be interested? Wow. Nani>>> Waiting for DTR's explanation on this. 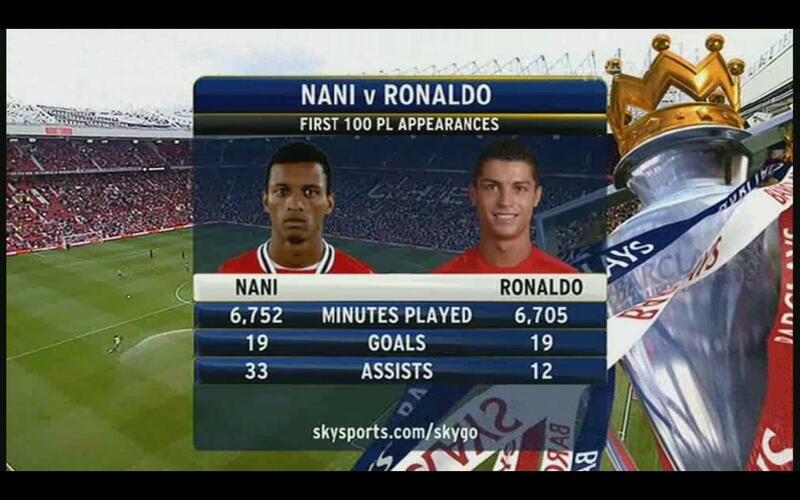 Nani is better at dribbling than Ronaldo. Last edited by Shower Posse; 19th September '11 at 12:22 AM. Whenever I see Nani run it looks like he's floating. He looks so slow, but no defenders catch up to him lol. Sir Alex intends to throw Paul Pogba into the lion's den at Elland Road on Tuesday night as United meet old foes Leeds in the Carling Cup third round. The Reds are still smarting from the shock FA Cup defeat the Yorkshiremen inflicted at Old Trafford in January 2010 and will aim to avenge that result by blending youth and experience. French prospect Pogba picked up a slight knock in the Reserves' 2-1 win against Rochdale last Thursday but is in line for his senior debut. Although it promises to be a hostile occasion, Sir Alex has no qualms about fielding the talented midfielder. "He's got a slight injury," the boss said, speaking at the launch of the club's new partner, Malaysian snack giants Mister Potato. "It's not too bad, though. So he wasn't available for Sunday but he should be able to play on Tuesday and I intend to play him against Leeds United." Sir Alex also revealed there is no prospect of Pogba being loaned out this season, despite recent reports of interest from Burnley. The teenager could, however, be farmed out in 2012/2013. For now, though, he'll remain at Old Trafford to continue his development. "It's more difficult to loan a boy of 18 who's come from France," explained the manager. "We prefer to keep him with us until we find he's mature enough to possibly go on loan. Maybe next year that could be an option but we're definitely expecting him this season to stay with Manchester United." Man United looking THREAD-bare up front?